Red velvet cake holds a very special place in my husband’s heart. It was the last birthday cake his mother made him just weeks before she went to be with the Lord. 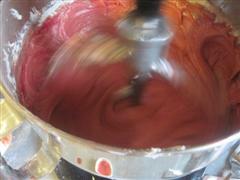 Knowing this, I have searched far and wide and manipulated countless recipes to create a superb red velvet cake. I believe that I have finally hit the nail straight on the head with this recipe. Beat butter at medium speed until fluffy. 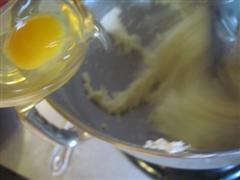 Add the eggs one at a time, beating until just blended after each one. 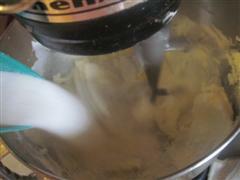 Add the dry ingredients to the butter mixture alternately with the yogurt, beginning and ending with the flour. Stir in red food coloring and vanilla. Pour into pans. 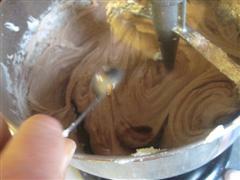 Bake layers at 350°F for 30-35 minutes or until toothpick inserted in center comes out clean. I used mini cupcakes (see notes section). Frost with mascarpone cheese frosting or cream cheese frosting. Slice each layer in half and frost with cream cheese frosting. You can use 6 8-inch disposable cake pans. 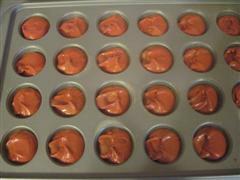 That way, you won’t have to slice the layers in half and you can fill all of the pans evenly at one time. The mini cupcakes I made cooked for 11 minutes. 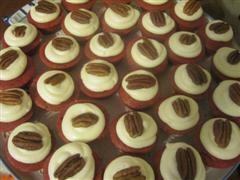 I topped them with mascarpone cheese frosting and a pecan half. They’re a perfect 2-bite dessert that would liven up any dessert table at a holiday gathering. 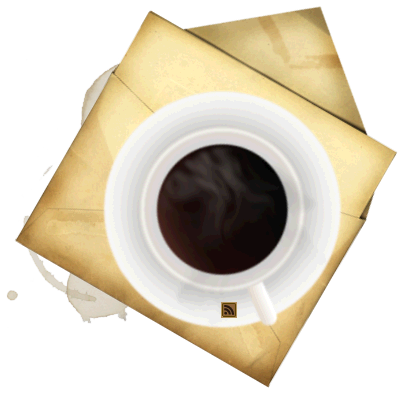 MMMM – those pictures make me want to make some right now! I actually made my first one for our annual Valentines dinner with my hubby’s parents & grandmother last year. I will def. make it again…it was a keeper! Those sound absolutely delicious! I am going to have to give those a whirl when I finally get my kitchen gear after Christmas. 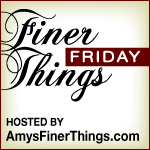 Hallee~ given this is my 1st year *really* cooking, what are some kitchen electrics/bakeware you can’t live without? I don’t have a lot of counter/storage area, however, I know I need certain things: a stand-up mixer or electric mixer? 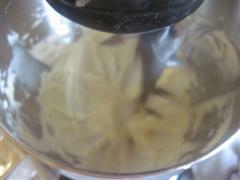 ; food processor (small Cuisinart? ); etc… any help would be greatly appreciated. 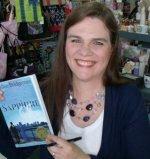 XOXO, M.
Meg – I can do that. Gregg has been pushing me to do a “series” on it because I have so many things. Definitely stand mixer (shop Kitchenaid refurbished) and a food processor (should be a lot of sales pre-Christmas) – for a truly stocked kitchen, I’d have a small one and a large one. I’d bet that Black Friday would offer some amazing deal on them – check Bed Bath & Beyond and such fliers (that’s not the one that went out of business, is it?). Couple of other things come right to mind – electric mixer like what I did my mashed potatoes with, a hand mixer (like a Braun but that’s not the brand I have, I can’t think of my brand – I’ll get back with you) and a mandolin. Gregg can’t walk out of the kitchen store cheaply. It’s so much fun to shop with him. I have a lovely set of pans, a couple really nice frying pans, a wrought iron skillet, 1 muffin pan (do I need two, in case? ), a cooling rack, 2 nice cookie sheets, one bread pan (I use for meatloaf), a cake pan, a GREAT roasting pan with cover, a CrockPot, a lot of Pyrex/casserole (assorted sizes) dishware, and a wide variety of kitchen utensils. I’ve made a list of what we discussed above, and, if you have any other ideas between now and next Friday, please let me know. I rely VERY heavily on your opinion! LOL. Imitation IS the sincerest form of flattery, yes? 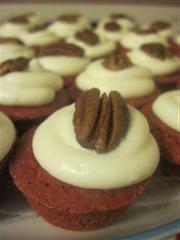 I love red velvet cake and the idea of mini cupcakes sounds WONDERFUL!!! Oh! They look so yummy! I haven’t had red velvet in a long time! Oh, yum. 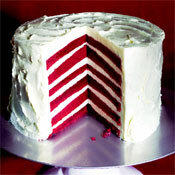 I’ve only had red velvet cake once ever, and I wasn’t a big fan, but this looks delicious! I’ll be making this for Easter as my mom has never had Red Velvet cake so I told her i’d make it for her. Yes! It will taste exactly the same without the food coloring. 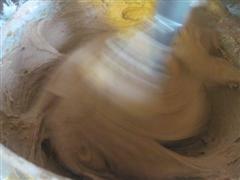 It will likely have a light tan color – there isn’t enough cocoa in the recipe to give it a rich chocolate color. What type of flour do you typically use in making these? Whole wheat or white? Plain or self-rising? Thanks! I am planning to make these to take to a Christmas party on Friday night. I used unbleached flour. I would specify cake flour if that’s what I used. I want to use whole wheat flour – just haven’t made it with that yet. this was great!! I baked it in two 8 or 9 inch (not sure what size they are) and the cake came out very dense but very easy to slice in half to make 4 layers – it was a big hit! should it have been so dense?